The need for humanitarian assistance is on the rise due to natural disasters, political/financial upheavals and other global changes. As such, the growing need for logistics services is great. According to an article from the Supply Chain Forum: An International Journal, the estimated size of the humanitarian logistics market is $7bn to $14bn. In times of crisis such as the floods in Thailand and the earthquake/Tsunami, the logistics industry has demonstrated its compassion with companies such as CEVA, DHL, UPS and FedEx providing various types of assistance – transportation, warehousing, financial assistance etc. However, long after disasters such as the above and other upheavals have faded from media attention, the need for assistance continues. The Red Cross, CARE and Doctors without Borders are among the numerous examples of nonprofit agencies created to help with medical needs in particular. Of note is a nonprofit association based in Atlanta, Georgia – MedShare. MedShare is a nonprofit organization dedicated to “improving the environment and healthcare through the efficient recovery and redistribution of surplus medical supplies and equipment to underserved healthcare facilities in developing countries”. 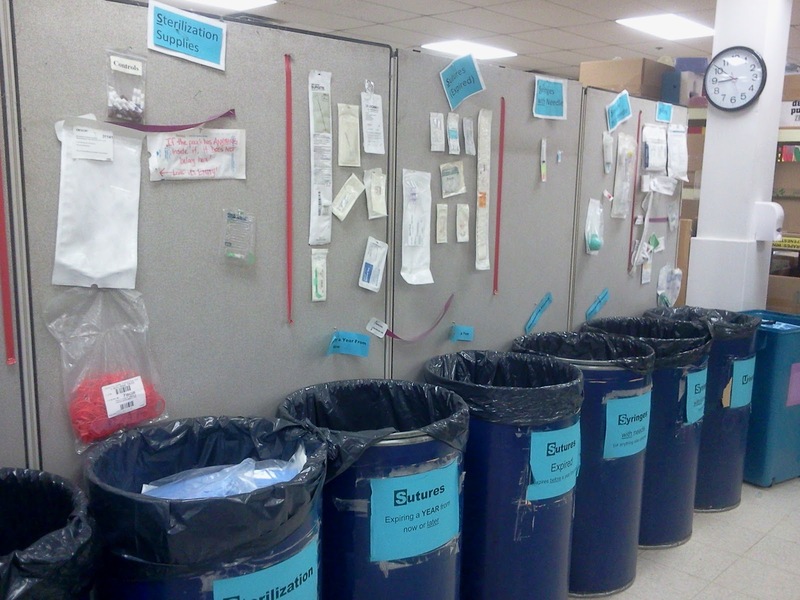 According to the MedShare website, U.S. hospitals generate more than two million tons of medical waste each year. Much of that waste is unused medical supplies and equipment. Meanwhile, the World Health Organization estimates that more than 10 million children under the age of five die in the developing world due to inadequate medical care. 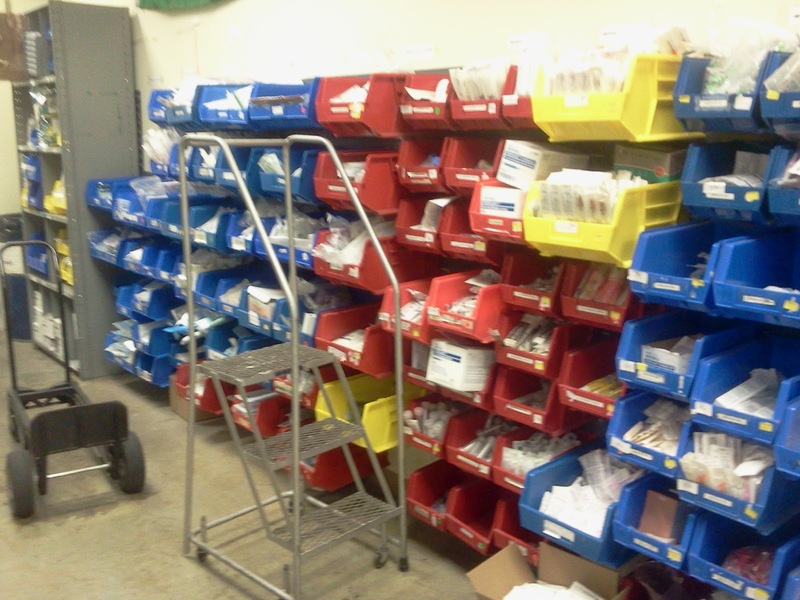 Area hospitals, clinics, medical supply companies all contribute unused or gently used supplies to MedShare on an ongoing basis. Recently I got to see how the agency worked. 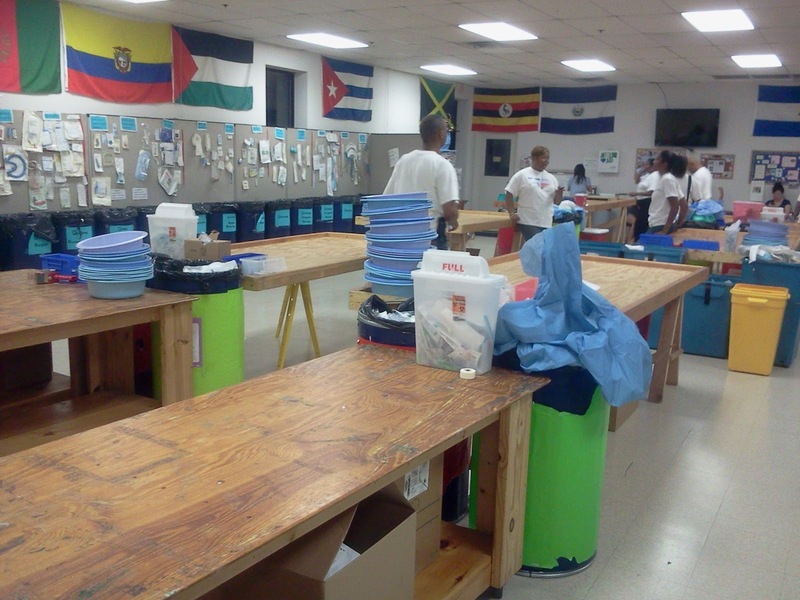 Along with a group of volunteers from Norfolk Southern, our task was to repackage goods donated by Kimberly Clark. 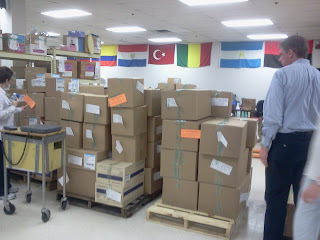 Prior to MedShare, damaged boxes of items that could not be resold were just thrown out and/or destroyed. Today, as part of Kimberly Clarks' reverse logistics program, items are sent to such agencies as this to be inspected, repackaged and sent to those facilities in need. All total we repackaged over 300 boxes of dressing gowns, gloves, tissues, surgical masks etc. to be temporarily stored in MedShare's 48,000 sq. ft. warehouse. Once at least 1,000 boxes are prepared, they will be shipped via ocean through the Port of Savannah to such locations as Guatemala, the Philippines, Sierra Leon and Niger. Various transportation and logistics companies have partnered with the agency but UPS has provided grant money along with containers for a good bit of the shipping. For mission trips, MedShare created a space for those folks planning such trips to pick out individual items to take along for trips. Alot of times when doctors/nurses have to do a standard procedure such as stitches, medical supply companies prepare packets with all the usual necessary items so that the medical team does not have to hunt and pick individual items. However, in many cases, not everything in these packets get used so the unused items are sent to MedShare and placed in appropriate bins. For more information on Medshare, please visit their website. For additional information on humanitarin logistics, CSCMP has recently published a good brief on the topic. Members can download the report for free from their website.